The Snow Wasset is a fearsome critter that comes to us from the stories told by lumberjacks in the late nineteenth and early twentieth centuries. This winter carnivore is known for turning green in warm weather and hibernating in cranberry bogs before growing a white coat of fur and migrating to the Great Lakes region from northern Canada when the weather turns cold. 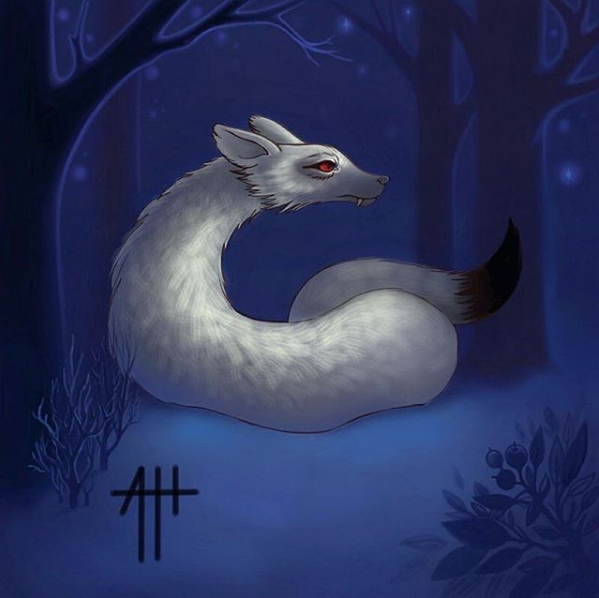 Snow wassets are gluttonous, weasel-like creatures who shed their legs to better burrow through the snow in search of prey, which can be anything from rabbits to wolves to unwary human beings. They can grow up to several times larger than a wolverine, and the wasset's combative personality is commensurate to the difference in size between them and the famously aggressive skunk bears. Snow wassets are ambush predators, bursting forth from the snow beneath their prey to attack them unawares. So if you find yourself walking in deep snow this winter, be extra wary of where you step, lest you fall victim to the ravenous appetite of the Snow Wasset.